Ridiculous lashes - that's what I like. Full, lush, long and almost offensive. I prefer when people have to stand back because my lashes may just poke them in the face. I have been on the hunt for a new mascara, one that would make me stand up and cheer, tell all my friends and yes - write a blog post. Well the hunt is over, I have found it and it's a beauty. I keep my ear to the ground, always listening for the rumblings and musings around a great product - and the town has been a-talking about this gem. Now I know why. 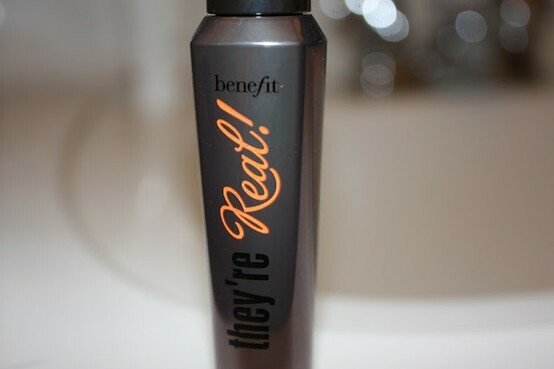 "They're Real" by Benefit - such a fitting name for a mascara that could have you think twice about one's lash authenticity. After validating in store that the brush seemed worthy of the purchase, I couldn't leave Sephora fast enough to get home to give it a test run. The instructions say to wiggle back and forth at the base of the lash to get the most impact and then brush out from there. The result after one stroke was separate, full, inky black, flirty lashes. After a second coat, the result intensifies and frames the eye is the most perfect way. The brush slightly resembles a medieval torture device, but they always say - beauty is pain.